You may want to set up Google Analytics to help see what happening with traffic to and from your site. Step 1: First you would need to create a Google Analytics account. 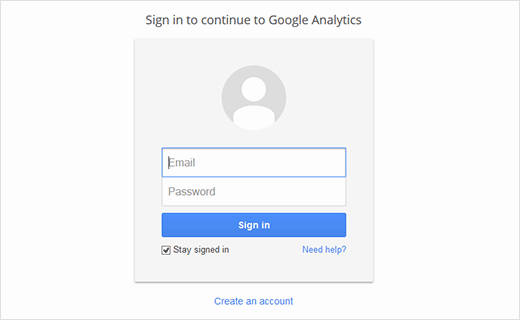 To do this, visitGoogle Analytics Signup Page. You will see a screen like the one below. If you already have a Gmail account, then use that to sign-in with. If you do not have a Gmail account, then you would have to create an account for yourself. Step 3: On the next screen, you will be given choice to choose between website or mobile app. Make sure website is selected. Currently, Google is offering a Universal Access account, which is in beta and comes with extra features and a classic analytics account. Feel free to choose either of them. 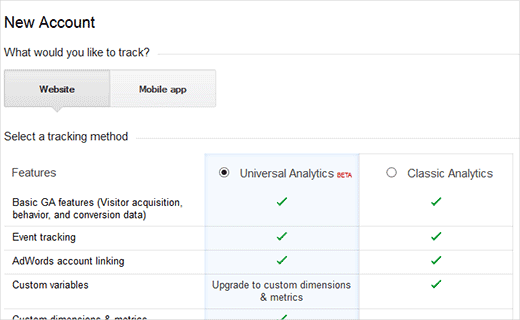 Even if you choose classic analytics, you will be upgraded to new features once they come out of beta. Rest of the information required on the page are quite self-explanatory. You enter your Website’s URL, Account name (it can be anything that you like), country, and the time zone. 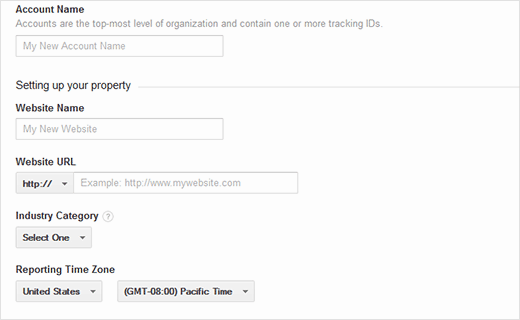 Once you have entered this information click on the Get Tracking ID button. 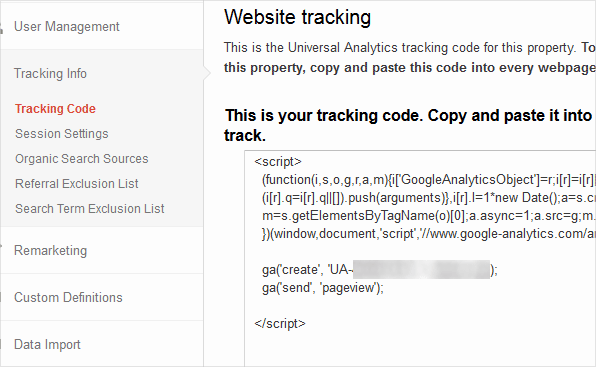 You will be presented with Google Analytics terms and service which you must agree to, so click on I Agree button. 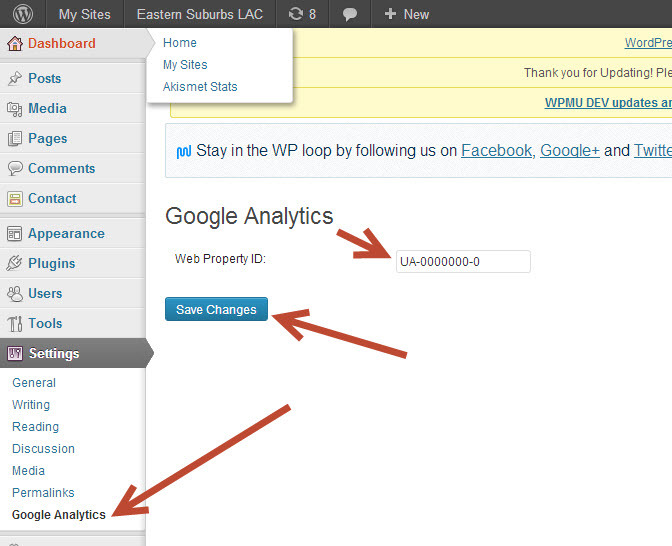 This area in your wordpress site is found in Dashboard - Settings - Google Analytics.